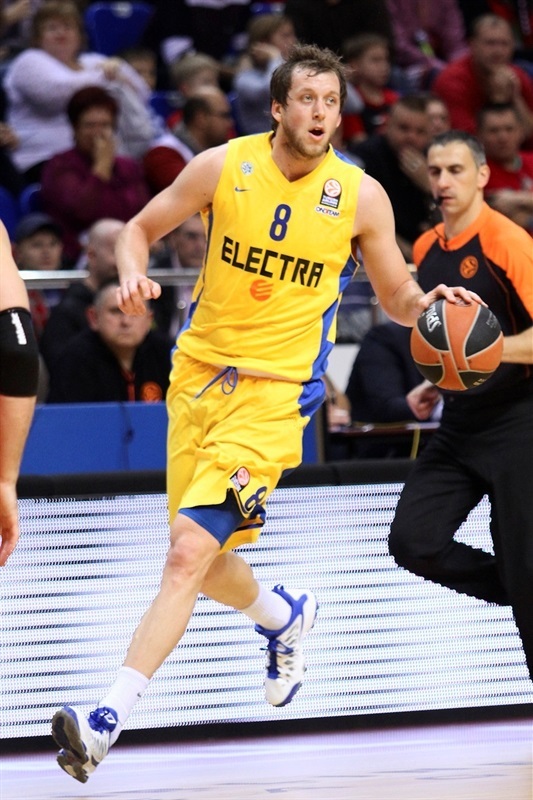 Maccabi Electra Tel Aviv picked up an important 58-73 road win at Lokomotiv Kuban Krasnodar to move into a tie for first place in Group D. The visitors never trailed after the second minute and led by as many as 20 points after back-to-back David Blu three-pointers early in the second half. 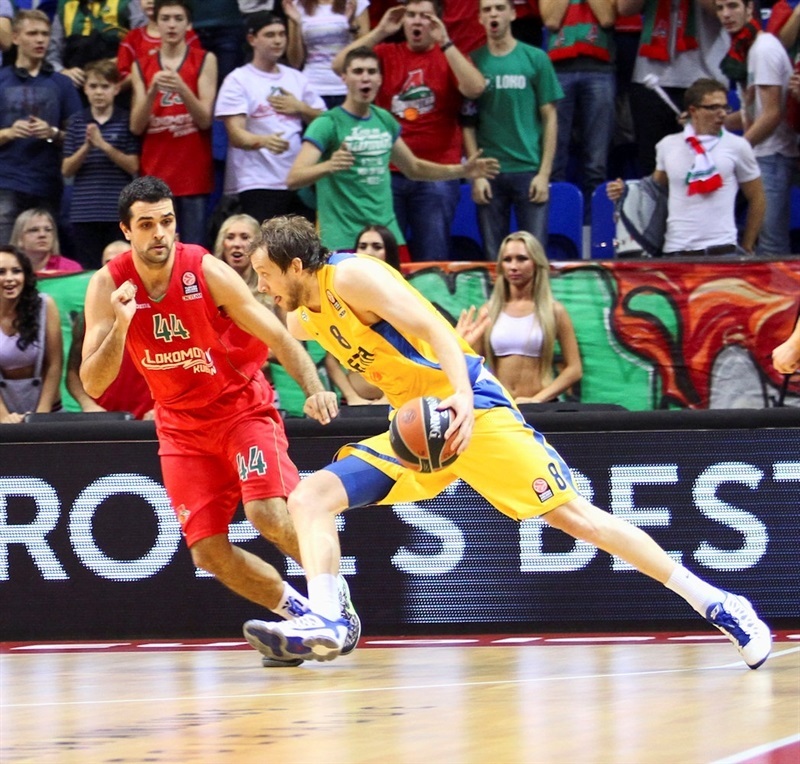 Maccabi improved to 2-1, matching Lokomotiv, which suffered its first loss. 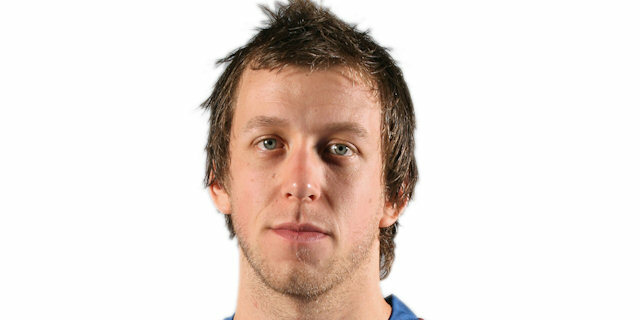 Maccabi was led by Joe Ingles, who scored 14 points and grabbed 10 rebounds for his first career double double. Rickey Hickman also scored 14 and dished 6 assists, while Shawn James netted 11 and Sofoklis Schortsanitis scored 10 for the winners. Mantas Kalnietis led Lokomotiv with 13 points and 5 assists, while Richard Hendrix was held to 8 against his former team. Ingles banked in the first points for the visitors. 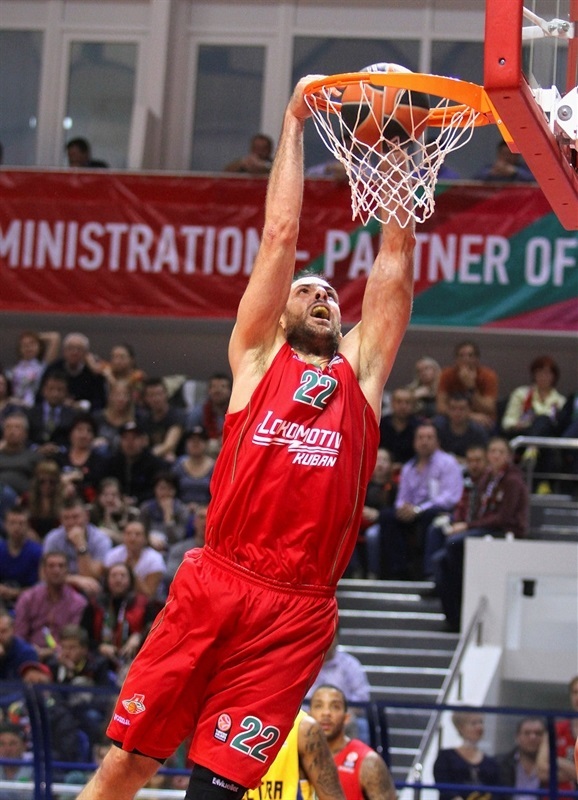 Krunoslav Simon buried a triple to get Lokomotiv on the scoreboard. Maccabi went inside for baskets from Tyrese Rice and James. Loko used the transition game for scores from Sergey Bykov and Derrick Brown. 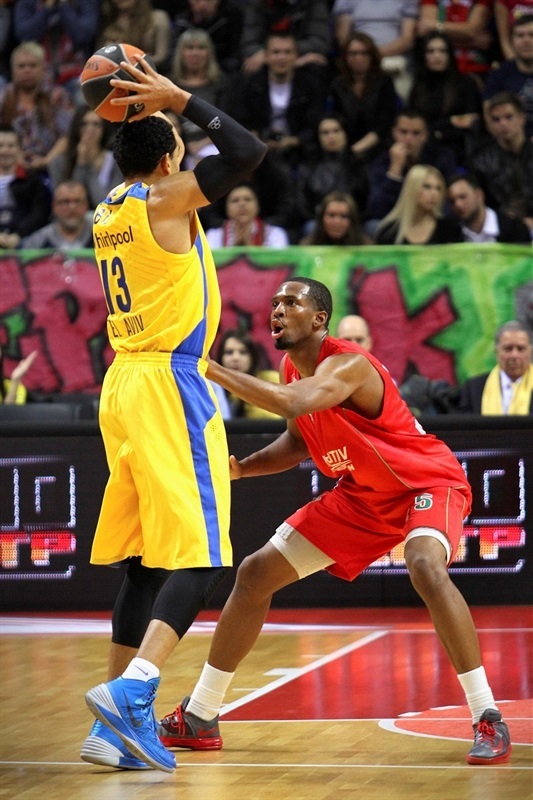 A basket-plus foul by Ingles boosted Maccabi to 7-11. Hickman battled for an offensive rebound and then found a cutting Devin Smith as Maccabi looked most comfortable early. Maccabi brought in Schortsanitis, but Aleks Maric managed to deny him on defense and draw a foul at the other end. But the next time, Big Sofo won the battle with a basket-plus-foul for an 8-point lead. However the big man committed his second foul less than 60 seconds into his time on the court and returned to the bench. Hendrix made the ensuing free throws. A second score in the paint by the Loko big man made it 12-16. Kalnietis continued the momentum with a floater in transition. David Blu fired in a three- from the corner to keep Maccabi ahead. Yogev Ohayon ran the clock down before beating the first-quarter buzzer to make it 14-22 after 10 minutes. Bykov and then Brown with a fastbreak dunk halved Loko’s deficit within a minute. Ingles drove, drew a foul from Hendrix and sank free throws to end a three-minute Maccabi dry spell. 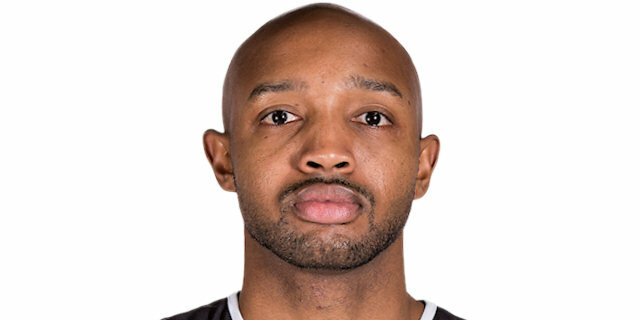 Rice soon took a seat with 3 fouls and Marcus Williams netted free throws for the hosts. Schortsanitis stuck Hendrix with a second foul as he made a three-point play. A Hickman jumper made it 20-29. Schortsanitis used a pick for an easy layup to give the visitors their first double-digit lead. A Loko timeout changed little as Ingles fount Big Sofo for another layup. Jasaitis ended Maccabi’s run at 9 straight points and Kalnieitis attacked the basket for a pair of scores, but Smith and Hickman kept Maccabi in control, 26-37. James and Valeriy Likhodey traded scores on the offensive glass. 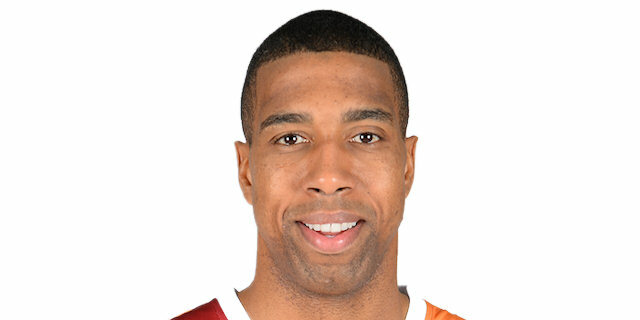 Hendrix remained a pillar for the hosts in the paint, but an Ingles triple put Maccabi up 14. Hendrix chipped away 2 points from the deficit, Hickman countered with 2 from the line to keep the visiting side in control, 32-46, at the break. 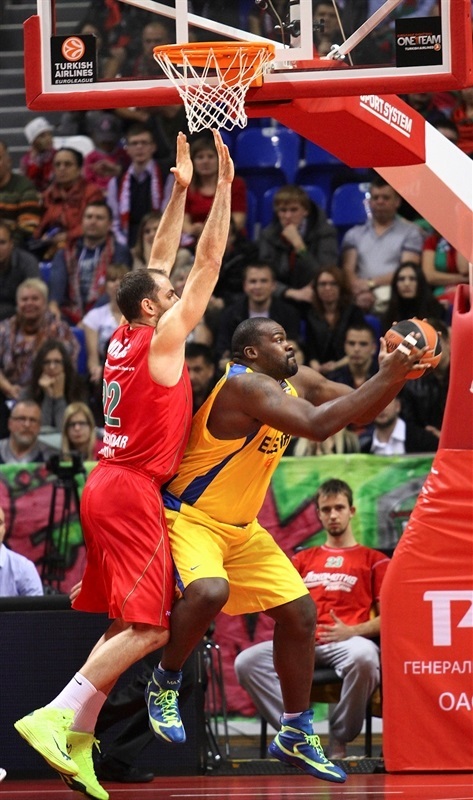 Maccabi continued attacking via Schortsanitis, though he was stopped the first two times. However the hosts failed to capitalize at the other end. Blu rattled in a triple from the top of the key and then swished another from the corner to put Maccabi up 20 just two minutes into the second half. Bykov scored Loko’s first points of the half before Kalnietis buried a three. Maric scored inside to trim the gap to 39-52. Kalnietis fired in a pull-up jumper. Smith kept Maccabi rolling, though Andrey Zubkov countered quickly with a runner. After Hickman scored, Kalnietis attacked the rim for a one-handed slam. Ingles boosted the Maccabi cushion from the line to 46-60 by the end of the quarter. It took two and a half minutes before James scored the first points of the quarter – and that came only after he collected the ball from Maric’s block of his first attempt. Hickman added a jumper to make it an 18-point game. 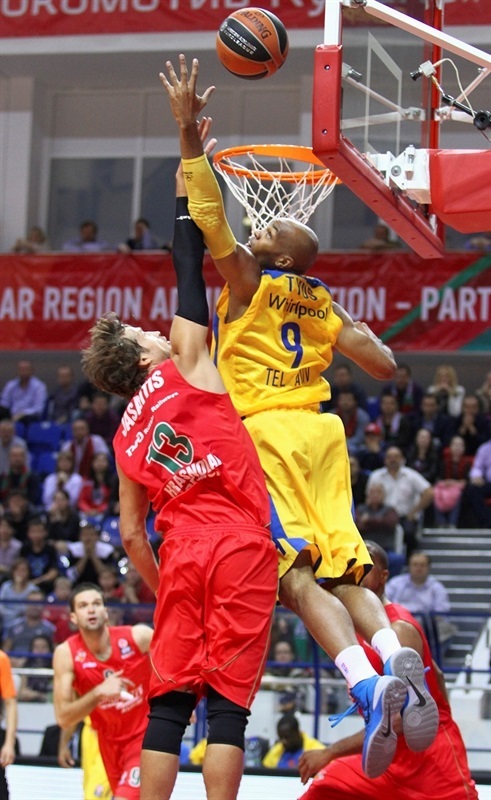 Lokomotiv was held without a basket for more than five minutes before Williams scored. Maric threw down a powerful dunk, but down 16 with less than five minutes to go, the outcome seemed pretty clear. Zubkov added a three in the next-to-last minute, but it was too little, too late for the hosts as Maccabi marched away with an impressive road win. 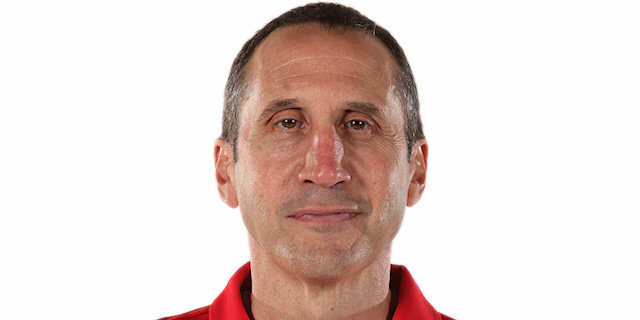 "We failed in the first half. Some players were completely out of rhythm and didn't seem interested in playing hard. In the second half we came out better and actually proved to ourselves that we can compete with that team on that level. Today we played without heart and that's my fault too. We will work on it not to let these kinds of days ever happen again. " 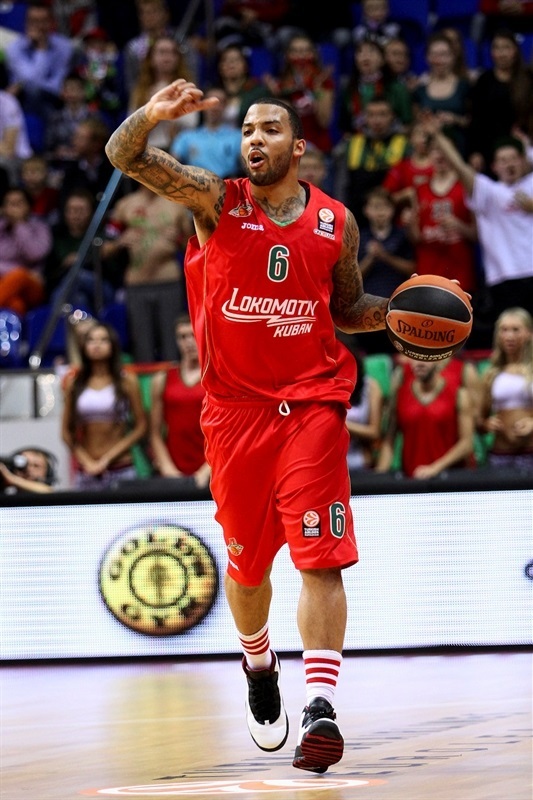 "First of all I want to thank the people in Krasnodar for the warm welcome they gave me. I truly appreciate it. Today we beat a very, very strong team. It's a great moment for us. After our loss in a preseason game to Lokomotiv, too many people became too excited about it. That loss surely helped us win tonight. It's a tough group we're in and every victory is important, especially one on the road. " "Today Maccabi delivered the first and the last punch. For us it's a reason to get back on the practice court, to work hard, fight and play the way we wanted to play. " "The last couple of weeks were really up and down for us. And today we played as good as we know we can. Our offense was executing perfectly. We have overcome our problem with shooting too many threes at the beginning of the game. We scored some layups, passed to our bigs and that worked for us. Our defense was good too; we've managed to allow just 58 points against a very strong opponent. " "This win is not a result of better basketball, but because of our mental strength. Today we needed to prove to everyone – the Euroleague, the Israeli League, but most of all to ourselves – that we are a good team. And that’s exactly what we did. We were determined and we didn’t let anything stop us. Of course we executed well our game plan and everything came together for an excellent result on the court." "Coach prepared us really well for this game and this time we executed everything that he asked for. We silenced their three stars, we were aggressive all game and we played as a team. We fought for every ball and for respect too. We came to the game in the right frame of mind and the result shows. We don’t need to celebrate. We need to keep working hard and to improve."